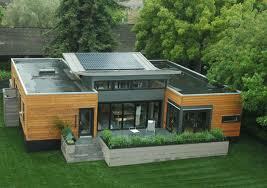 Energy Efficient Homes That Can MAKE You Money! Boston is taking the lead amongst major US cities by building ultra-energy efficient homes that generate twice as much power as they consume. A pilot project was recently completed in Roxbury, and Mayor Thomas M. Merino’s housing chief Sheila Dillon said that the city intends to approve construction of another 40 houses in Mission Hill. The homes are built using efficient materials, they are double-insulated, and they use solar power to generate more energy than they use. The first homes built in Roxbury are part of a new wave of energy efficient homes being built across the United States, with similar projects happening everywhere from Seattle to Sarasota. Housing chief Dillon acknowledges that there is no downside to building these types of homes. They generate jobs in construction, home energy auditing, retrofitting and more in the communities where they are built. And the technologies that are used save money for the homeowners, and the energy savings are good for the city and good for the environment. Everybody wins! While these homes do come with lower energy bills – homeowners are estimated to save about $130 a month on their utility bills – the houses are not cheap to buy. The Roxbury houses are selling for around $550,000 each, plus the cost of the solar equipment. But with the utility savings every month, plus tax credits provided by local and federal governments, investment in the equipment can be paid off in five to six years. And after that, homeowners can make money by selling power back to the energy grid. The homes built in Boston are about 2000 square feet and include energy-efficient features like triple-glazed windows, low-flow plumbing fixtures and an air-filtration system that pumps clean air into the home. The size and features of homes in different cities may not be identical to these, but the idea is the same: build energy-efficient, money-saving homes. Generate jobs. Save people money. Do better for ourselves and our environment.